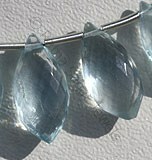 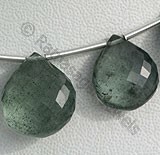 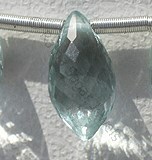 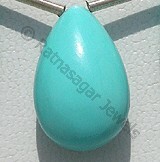 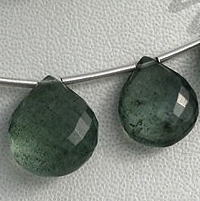 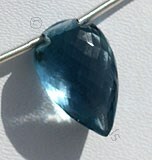 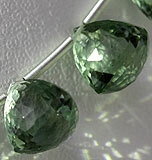 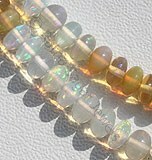 Improve your overall well-being and healing power with Moss Aquamarine-Heart Briolette 100% natural gemstones beads. 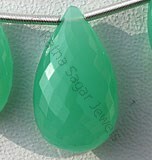 Ratna Sagar Jewels manufactures and supplies AAA certified precious and semi-precious gemstones beads worldwide at economical price. 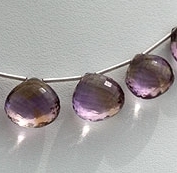 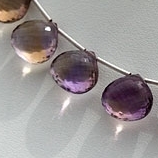 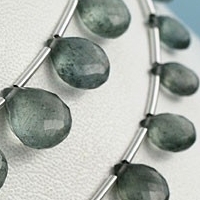 With use of latest technology and tools, our knowledgeable artisans create eye-catchy heart briolette shaped gemstone beads that include Moss Aquamarine, Grey Moonstone, Grossular Garnet, Olive Quartz and Ametrine. 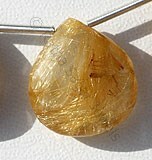 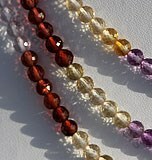 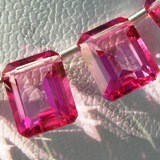 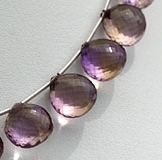 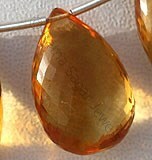 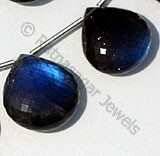 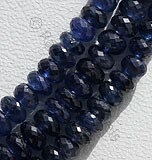 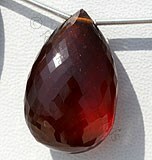 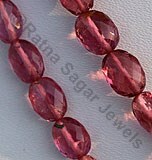 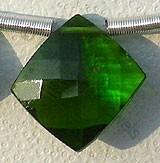 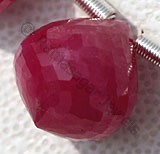 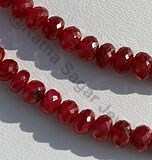 All our gemstones are flawless and possess natural sheen that will beautifully blend with your jewelry needs. 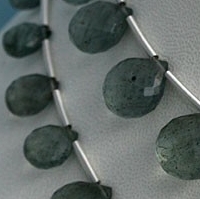 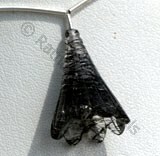 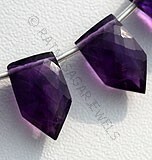 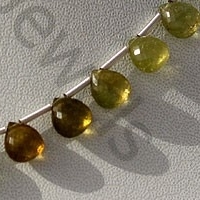 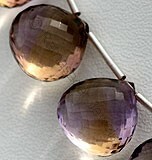 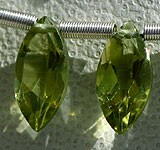 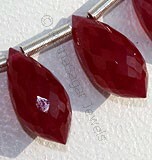 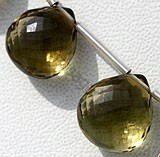 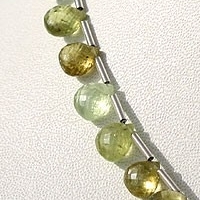 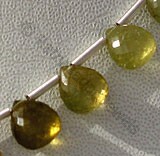 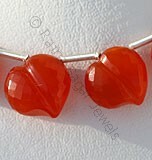 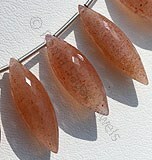 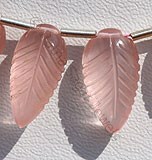 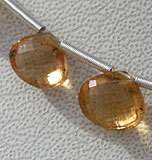 Check out our collection of artistically designed gemstone beads now! 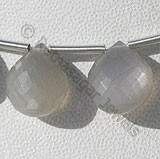 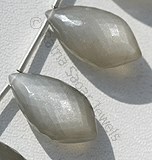 Grey Moonstone is a variety of natural feldspar mineral, possess property of semi-transparent with opalescent luster and are available in grey color with silky sheen in micro flower cut, Heart shape. 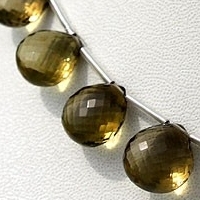 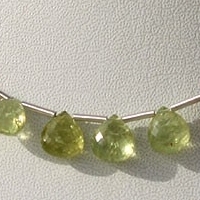 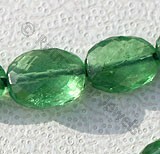 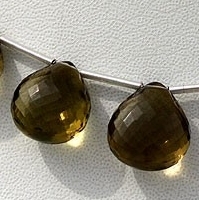 Natural Grossular Garnet Gemstone Beads possess property of Transparent with natural veins and are available in yellowish green with micro flower cut, Heart Shape. 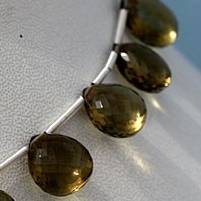 Nature Olive Quartz is a variety of quartz, possess property of transparent with vitreous luster and are available in olive color with micro flower cut, Heart Shape. 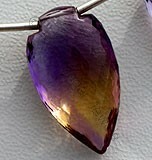 Ametrine Natural Gemstone is combination of Citrine-Amethyst quartz, possess property of transparent with vitreous luster and are available in purple-yellow dark color with micro flower cut, Heart Shape.